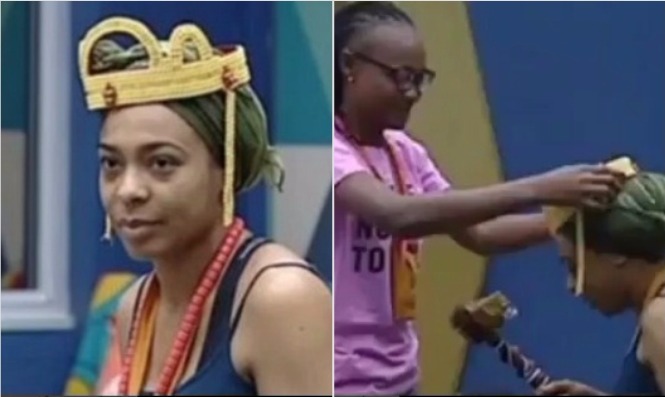 Tboss was crowed the new Head Of House today,Thursday, just for a day. during a truth or dare game on Wednesday night. 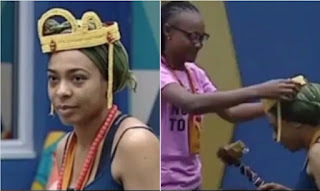 0 Response to "BBnaija:Tboss Becomes Head Of House After National Anthem Saga"